In our culture, we’ve been taught from an early age that we need to compete for what we want. We’ve been socially conditioned to believe that we have to be better than everyone else to be a winner in life. The truth is, when we’re working towards our goals, whether it’s attracting a romantic interest, making money, or physical fitness, there are two mindsets: The competitive mindset based on scarcity and the creative mindset based on abundance. The competitive frame is one of ego, and the creative frame is one of selflessness. Our perceptions are based on the information coming in through our five senses, and our interpretations of the experiences and events in our lives is everything! Everyone interprets life through their own filters. The way people interpret reality is generally influenced by their past experiences. People can fall into the scarcity mindset without even realizing it because of previous trauma which causes them to react with negativity often in situations that don’t warrant it. People who seem jaded have often had bad experiences that they formed limiting beliefs around. They simply haven’t taken the time to reprogram themselves. That’s why we retrain our minds through positive affirmations, hypnosis, meditation etc. People who have lived privileged, successful, or wealthy lives thus far are more likely to have positive expectations, and therefore, they tend to keep getting the results they want. The rich get richer, because they have a positive attitude that hasn’t been clouded by past failures. When we approach life from the frame of creativity, we see everything from a different prospective. We do it for the fun of the process focusing on what we love. Creativity comes from a place of abundance, and from a belief that there is more than enough to go around. Creativity provides value. Creativity is independent of the opinions of other people. Break the mould! 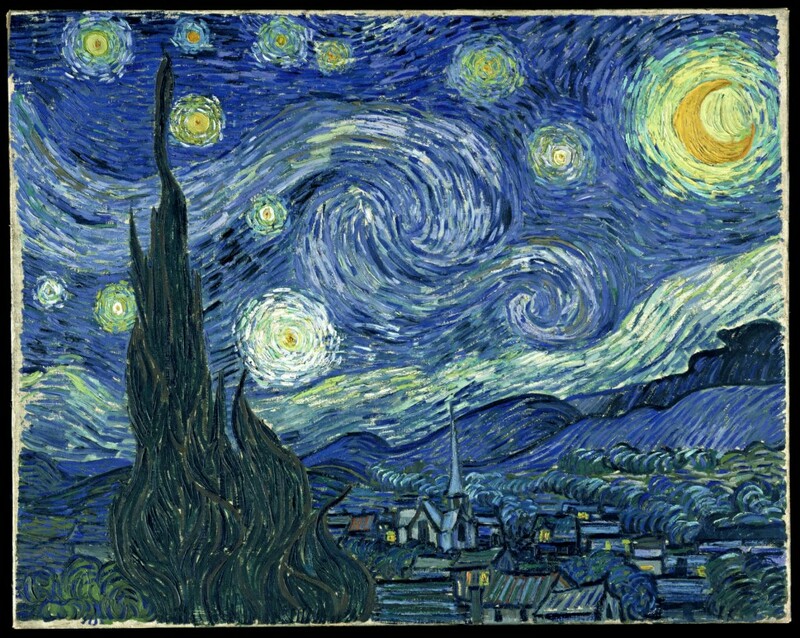 Do you think Vincent van Gogh was trying to be better than anyone else when he painted Starry Night? He did it out of love. Don’t worry about what anyone else thinks. The only person you should ever try to be better than is yourself. Creativity comes from the heart, and it’s a giving energy. It’s the essence of generosity. When we look at the big picture from a state of higher consciousness, it’s not about being the best; it’s about doing our best. Do what you love.